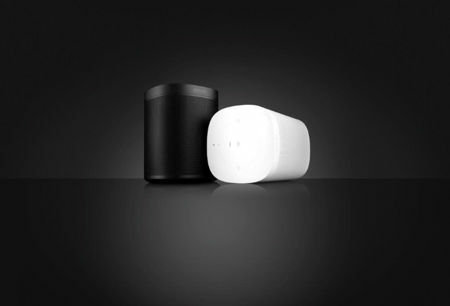 When it comes to audio products, Sonos is one of the names that would often crop up in a conversation. In fact, Sonos continues down the warpath with the introduction of the Sonos One, which is a totally new, voice-controlled smart speaker that is more than capable of supporting multiple voice services. Of course, it does not forget its primary reason for existence: to be able to play back your favorite tunes for all and sundry to listen to and enjoy, podcasts, audiobooks, as well as other kinds of sonic content from over 80 streaming services. The rich sound is well accompanied by a thoughtful design which will fade nicely into the background, where the asking price of $199 a pop for the Sonos One as it is released globally this October 24th is rather reasonable. When the Sonos One is launched, music fans living in the US, UK, and Germany are able to interact with Amazon Alexa in order to gain control of the Sonos One right out of the box, now how about that? It even comes with full voice support for Amazon Music, iHeartRadio, Pandora, SiriusXM, and TuneIn. Alexa voice control for Spotify on Sonos One has been set in stone for arrival not too long after its launch. Apart from that, you will be able to enjoy voice transport controls such as pause, skip, volume up and down, not to mention asking what’s playing that will be available for all other music services under the support umbrella of Sonos. In other words, Sonos One will empower owners to make full use of voice in order to control their slew of Sonos home sound systems. Support for music is not the only great thing about the Sonos One: owners can also enjoy everything else that has made Alexa so enjoyable, including hearing about the weather, set timers, listen to news and traffic reports, not to mention the latest sports scores. Regular cloud updates make it all the smarter, too.